The most expensive thing in the business is the transport. With a major driver being ‘customer service excellence’. 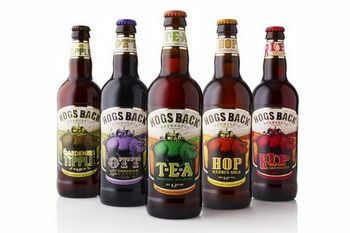 Hogs Back Brewery is mindful of the quality of its distribution, and the ever increasing costs. Nigel Hyde, Trade Manager explains “before implementing PTV Route Optimiser, routing the customer deliveries was done by involving more people than we needed and would involve myself, drivers and other people who thought they knew best and it wasn’t based on anything that made any sense and that isn’t cost effective. With PTV Route Optimiser you can plan and schedule optimised routes for your whole fleet - saving planning time and money. "As we delivered to more and more places our costs are rising and we had to find a way of bringing that down and the way to bring that down was to come up with a different solution and making it simpler so we can reduce the man hours that were involved and involve one person for 20-30 minutes rather than three or four people for three or four hours. Because of the size of business most of them were too expensive for us. I found PTV DPS and they have a system called Route Optimiser, and that is scaled at businesses our size, so small to medium-sized businesses who don’t have large fleets, that’s where PTV Route Optimiser came in. We export our current customer list from our brewery system and import into PTV Route Optimiser. We let the software optimise a month’s worth of deliveries, we were then able to compare that to our current month. The initial indicator was that ‘we were driving over 400 miles extra than we needed to. We have now been able to come up with a new delivery schedule which we are able to implement to offer a better service, go to them more often, we save miles, save money, the drivers are doing less hours and we’ve got room to grow and that’s the main thing. ”We use PTV Route Optimiser in a lot more of a simplified way because we’ve done the groundwork when we got in and we set up a good delivery schedule. Now it’s a simple case of at the end of each day we take our current orders, we import them into PTV Route Optimiser based on the parameters within the software which are set to our specific requirements, we then optimise the daily orders that will give us as many routes as needed, but will never exceed our current limitations. With the software we’ve been able to save costings, firstly in the fuel side of things. The fuel’s gone down in the past few months dramatically. It’s also helped the drivers and the sales team, because from the first point of order to the delivery point, everything is a lot simpler now, and we know that with PTV Route Optimiser if the routes have been planned and we are happy with the outcome it’s going to be done right”. Festival in 1995 for their T.E.A, Traditional English Ale. T.E.A then went on in 2000 to become ‘Champion Beer of Britain which has helped the Hogs Back Brewery gain prominance in the UK and now brews in excess of 120 barrels a week.